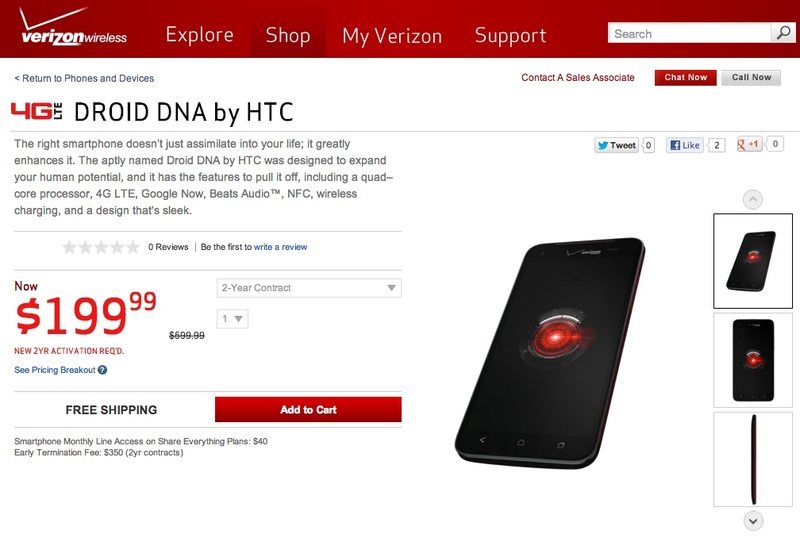 As of this morning, the DROID DNA has disappeared from Verizon’s website. Naturally, one jumps to, “It’s reached end of life because the HTC One is one the way!” But is that the case? Well, we don’t actually know for sure at this point. What we do know, is that if you search for the device, you’ll come up completely empty. There are still some traces of it, though. For example, if you head into Verizon’s search box, type “DNA” and then let the search box process that before hitting “Enter,” you’ll see a mini-card appear for the device. However, should you click on it, you’ll be taken to a standard shopping page that lists out all of Verizon’s categories of products. 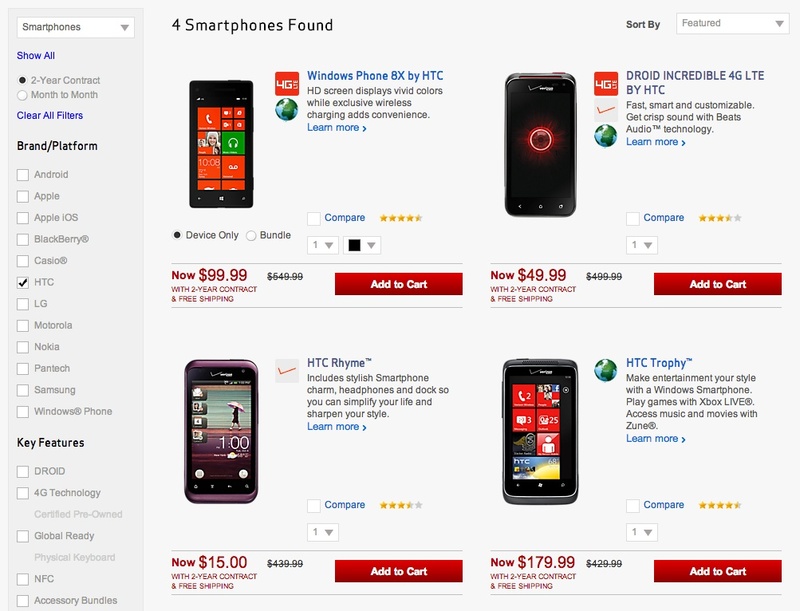 You can also cruise over to droiddoes.com and see the device listed at the very top of all DROID devices. Should you enter its page, you’ll even see a “Shop” button. Again, when clicked simply takes you to the categorized page of Big Red products that has replaced the DNA page. And finally, if you enter Verizon’s smartphone page and check the box for “HTC,” you’ll only find four options at the moment, none of which are the DNA. So, is this a sign that something new is on the horizon? 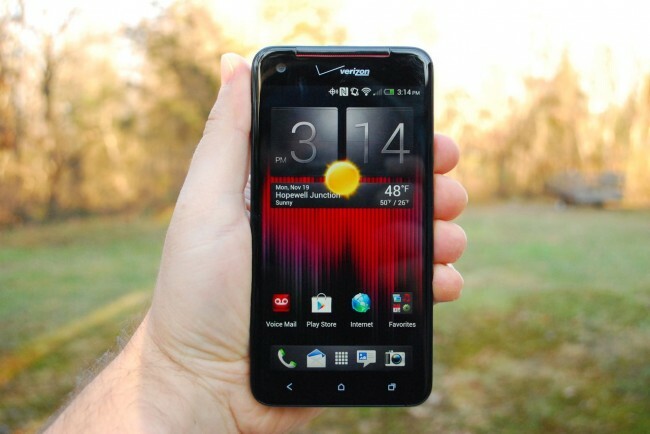 Well, we have heard from friends of ours at Walmart that the DNA has been killed off and will be replaced by some sort of HTC One variant. They were at one time expecting this to happen in March, though we heard this morning that Walmart has now pushed all One variants out to April, which makes sense since HTC confirmed an April release. Also of note, @evleaks Tweeted this morning that he is on board with the One coming to Verizon. Update: Reader Joe contacted Verizon’s sales team and was directed to this pre-order page for devices. He was told that stock for the device goes in and out and can be ordered here. Sure enough, the device is listed there. That said, we have heard from a number of readers who work directly or indirectly for Verizon and have said that stock of the phone has been depleted for some time from their stores. Update 2: Received another tip suggesting that the missing DNA is simply because of a SKU change to ADR6435LVW2 and has not been discontinued. They were not sure what has changed in the new model, but did say that the new version should be shipping now to stores. Update 3/31: The device is now back, but likely did go through a SKU change. The device ID used to be 6103 on Verizon’s site and is now 6691. I’ve reached out to Verizon PR to see if this is nothing more than an “out of stock” situation or if the phone is indeed gone for good and will report back. Keep in mind that we’re just kicking off a weekend, so we may not hear anything until Monday. If it is simply on back-order or out of stock for the moment, completely removing the device from your website seems like a terrible move. At least tell people up front that it’s on back-order and will be returning. Don’t make them contact the sales or inventory teams to find out the stock status of a phone they would potentially buy. If the iPhone 5 was sold out, they would make a notation on the iPhone page saying when stock will return, not completely kill off the sales page.